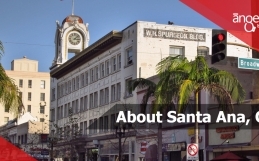 Santa Ana possesses tons of history, it is not only paradise beaches and sunshine, it is also the core and heart of Orange County. 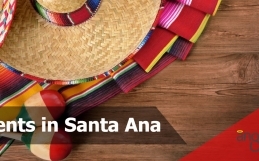 If you are planning a visit to this amazing city or you live in Santa Ana but feel like you could know your city better, have a look at the incredible places Santa Ana has to offer. Looking for a fun place to spend time with your kids but also a place that helps them learn? This interactive museum gives those seeking immersive, interactive science activities a way to jump into the learning fun. In addition to their campuses, educational outreach programs remain a major part of their mission. 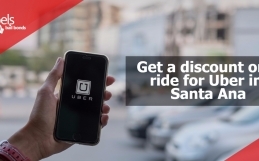 They offer discounts for members, seniors, and children. Opens from 10 am to 5 pm Monday through Sunday, and you can have a look at their calendar events and purchase tickets through their website. Spend some time at their Tierra de las Pampas, which is a new, multi-species exhibition, showcasing Anteaters, Guanacos, and Rheas. The exhibit honors and preserves one of the most highly endangered habitats in the entire world, the Pampas Grasslands of South America. Alternatively, you can have a lovely experience with the Crean Family Farm where you can learn about life on a farm while you feed goats and sheep and milk a replica cow. Santa Ana’s Zoo (SaZoo) has so much to offer, from the Amazon´s Maze to the exotic Aviary and don´t forget to visit the conservation education theater. Along the way, you will find games and activities that will challenge you in fun and exciting ways that will leave you wanting to put on your adventuring hat for a return visit. Open from 10 am to 4 pm and offer discounts for seniors and children. Charles Bowers was a land developer who resided in Orange County, and before he passed, he granted a plot of land to the city of Santa Ana. In 1936 the Charles W. Bowers Memorial Museum was opened for the first time. Over the decades the museum has had several refurbishments, and the museum’s size has increased tenfold. The museum is a magnificent place to take a look at the different cultures in the world, and there are over 100,000 items to peruse. Open from 10 am to 4 pm Tuesday to Sunday and offering discounts for seniors, students, and children. Previously known as Santa Ana County Courthouse. The house was opened in 1901 and sits in the Historic Downtown District, the courthouse has its place on the National Register of Historic Places and is also a recognized Californian Historical Landmark. The construction is now a museum showcased in many TV series and movies, most remarkably as Briarcliff Manor in the movie: American Horror Story: Asylum. It is open: Monday to Friday, 8 a.m. to 4:30 p.m. The building remains closed on holidays. Free admission. Hiram Clay Kellogg was born in California in 1855. Many years later in 1869, he moved to a ranch in Anaheim and shortly afterward he began his degree in civil engineering. Mr. Kellogg had a knack for this, and in 1883 he was granted a contract to survey and lay out an entire city and news of his skills rapidly spread. In 1898 Kellogg designed The Kellogg House, and every detail carefully thought through. The core piece of the entire building is a three-story spiral staircase carved of ships sailing the seas in the late 1800’s. The house originally established in downtown Santa Ana at 122 Orange Street. When the city of Santa Ana sentenced the homes in that neighborhood to make room for new development, the family granted the house to the Museum (then known as the Exploratory Learning Center). In 1985 the Orange County combined with Corporate Volunteers and the Junior League restored the building. The house is now used for educational purposes about the Victorian era for about 18,000 children each year. A variety of activities, including public tours, formal teas, and wedding photo sessions also take place in this lovely historic home. The house remains closed on Monday’s and Tuesday’s, but a trip around this beautiful artwork is well worth your time. The Lyon Air Museum in Santa Ana has a particular emphasis on paraphernalia related to the World War II. The museum is located inside the John Wayne Airport and has many items that are worth peruse through. There are motorcycles, military vehicles, cars and of course aircraft. Some of the most famous aircraft is a Cessna O-1E Dog and a Boeing B-17 Flying Fortress. 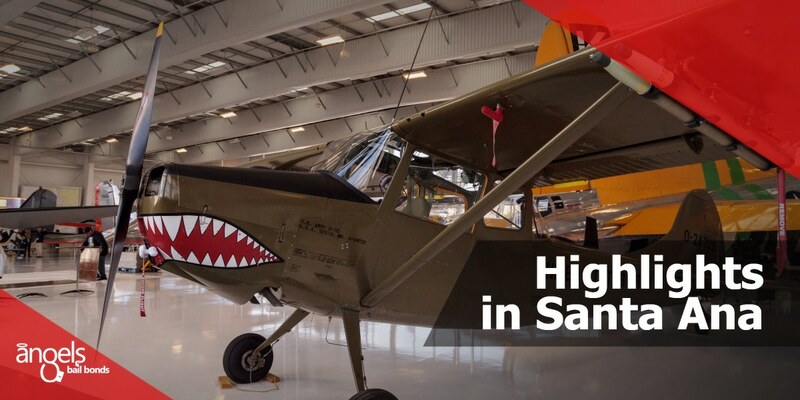 The Lyon Air Museum is a fantastic day out for the family, and the information about the historical value next to each exhibit makes for an exciting and educational trip. Open from 10 am to 4 pm every day. The museum offers discounts for seniors and veterans, children, groups and school groups.